TUSEV published the first Civil Society Monitoring Report in 2011 in order to more closely observe and evaluate developments in the area of civil society. The purposes of this report are for civil society to be recognized, better understood and bring awareness to challenges faced, as well as portraying developments over the past ten years. We believe that the favorable assessment of the Civil Society Monitoring Report by the representatives of civil society and the various institutions in the international arena is a significant progress. 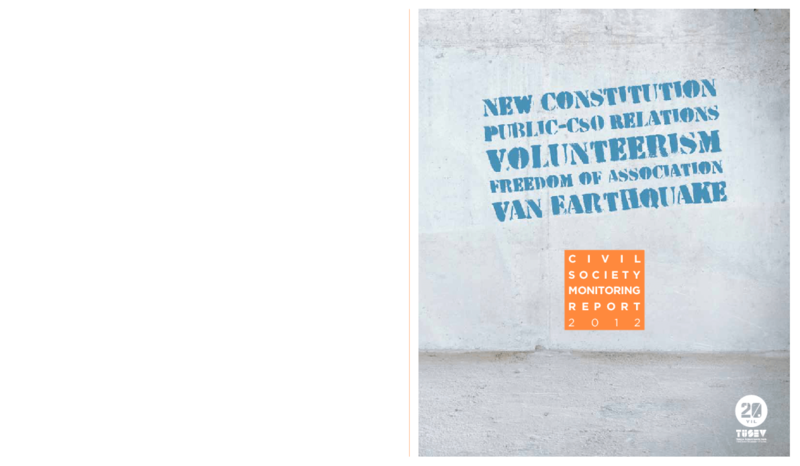 The Civil Society Monitoring Report 2012 presents the developments and achievements in the area of civil society, as well as the shortcomings and difficulties observed in practice within the period of 2011-2012. Also, the report compares findings of this year with the previous year.